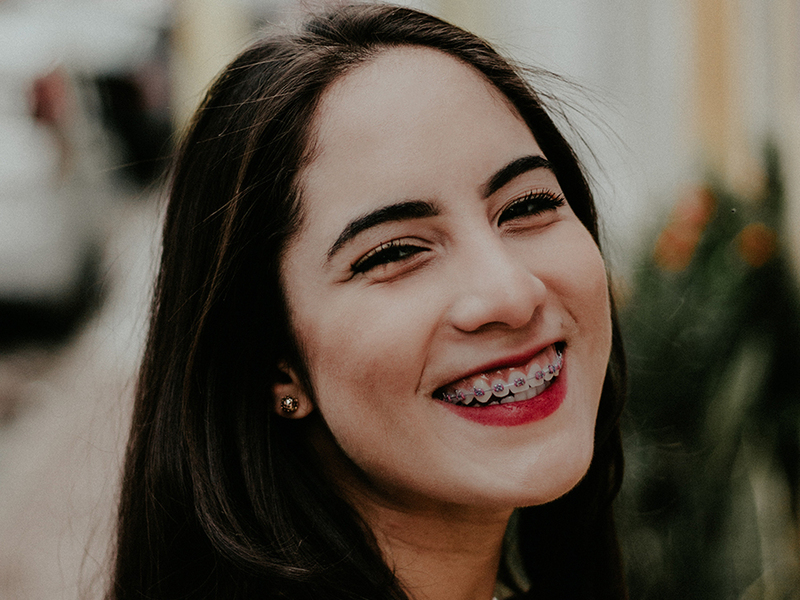 While most people understand that chewing gum is off limits with braces, there are several other bad habits that patients with orthodontic treatment should know about. Some of these habits should also be avoided after orthodontic treatment is complete, as they will affect your overall oral hygiene. Unfortunately, teeth are not as strong as we sometimes think, and certain habits can cause a shift shift your teeth, poor oral health, or damaged braces. Trying to open a bag of chips with your teeth may not only chip a tooth, but could also damage the brackets on your braces. Additionally, it could force your teeth to shift out of the proper alignment we’ve worked so hard to achieve. Find those scissors instead! We’ve all been there — catching ourselves chewing on straws, pencils, pens, or other random objects you may encounter at school or at work. But chewing on items that aren’t food can cause your teeth or brackets to chip, break and shift. Your braces aren’t designed to have constant pressure applied to them, so try your best to limit your chewing to meals and snacks. Although we could put this under “chewing on things that are not food,” we’re giving it its own category because we know how many people suffer from this bad habit. Biting your nails can bend wires and break brackets. It can also damage your actual teeth. Ultimately, excessive nail biting will force your teeth out of alignment, which defeats the purpose of getting braces all together! For many, thumb sucking starts at a young age and lasts into adolescence, resulting in the misalignment of your teeth and making braces necessary in most cases. In order to rid yourself or your child of this bad habit, try dousing the thumb in a bitter-tasting solution or wrapping the thumb in cloth. Some people mistakenly think that the harder you brush your teeth, the cleaner they will be. However, brushing your teeth too hard can damage the delicate tissue on your gums, which may result in soreness, pain, bleeding, and receding gums. Bad brushing habits can also damage your braces by forcing your brackets to come off. We know how tempting it is to munch on ice toward the end of a cold drink. But the coldness and hardness of ice makes it very threatening to your teeth and braces. Ice can easily damage your wires and brackets, as well as be painful. Darker drinks, such as coffee, soda, red wine and black tea, can stain your teeth around your brackets, as well as your elastic ties. We suggest using a straw while drinking these beverages, or rinsing your mouth out with water and/or mouthwash after drinking them. Did you know the average American eats three times the amount of sugar per day than what’s recommended? Sugar leaves an acidic film in your mouth that eats away at your teeth and gums. Soda and fruit juices are especially high in acidic properties and are extra harmful for your teeth. Consuming these beverages makes it much more difficult to clean your teeth thoroughly with braces, making you more susceptible to cavities. This may be the most important habit to break if you have braces. Sticky foods can easily bend your wires and even break off your brackets. These foods can also get stuck in your braces and significantly increase your chance of cavities. “Sticky” foods include gum, caramel, taffy, candies, and more. We strongly recommend visiting your dentist every six months, and sticking to the schedule your orthodontist has put in place for your treatment plan. Putting off your appointments may give cavities the opportunity to grow or turn small orthodontic issues into big problems. Sticking to your appointments will help prevent major dental work and orthodontic procedures that may not be necessary with regular checkups. Breaking these habits will help you straighten your teeth and improve your smile. If you’re a parent, it’s important to recognize if your kids are engaging in these bad habits and encourage them to quit. If you’re looking for guidance, don’t hesitate to reach out to us with questions, we’re always happy to help you get a straighter smile!